As QuickBooks ProAdvisors®, we love advising clients on QuickBooks®. Adding QuickBooks Point of Sale (POS) services to our tool belt has provided our firm opportunities to do something different every once in a while. The CPA in me appreciates that POS work has grown our revenue stream and client base, but, in fact, some of our favorite projects have involved POS. Most of our POS work comes to by way of Intuit® and its Find-A-ProAdvisor website. What starts as a short-term POS installation or consulting engagement often leads to other types of recurring work such as bookkeeping and tax returns. One recent engagement performed by one of our firm’s ProAdvisors, Bryan Bostrom, demonstrates the value and excitement that POS can bring to your practice. I’ll let Bryan tell you the story in his own words. I particularly enjoy the hardware element of the POS system – there are cash drawers, receipt printers, barcode scanners and other equipment involved. I love electronics. I also love buying tools and building things. It’s easy for me to spend a couple hours walking through a big-box hardware store and perusing the merchandise. Recently, my wife laughed at me when she asked what I wanted for my birthday – I answered, “Lumber” … but I was dead serious. So, perhaps you can imagine my excitement when I was offered the opportunity to set a home improvement warehouse up with QuickBooks POS. It seemed a perfect marriage of my favorite hobbies. Habitat for Humanity ReStore engaged our firm to set up QuickBooks POS at its new Spanish Fork, Utah location prior to the store’s rapidly approaching grand opening. The timeframe was short and the budget was tight. Good planning and anticipation of potential problems would be essential to getting the project done on time and within budget. In order to accommodate the budget, tasks were delegated to the organization’s volunteer members, when appropriate. ReStore is a nonprofit building materials store that helps to fund its parent nonprofit entity, Habitat for Humanity, which provides housing for low-income families across the world. I like to think of ReStore as a mixture of Home Depot and the Goodwill thrift store. Most of the ReStore’s inventory of building materials, such as carpet, paint, doors, cabinets, electrical components and plumbing fixtures, are donated by local homebuilders, building material suppliers, and contractors. The products are sold to the public at thrift store prices and the profits are used to help pay Habitat’s administrative costs so that corporate and individual donations can be used to build more homes. As the ReStore’s transactions are almost exclusively over-the-counter, a point of sale system is necessary. Most of the store’s items, such as a half-used spool of electrical wire or a 13-inch-wide walnut cabinet door, are unique and will be sold only once. However, the ReStore also stocks and sells a few new items, including paintbrushes and caulk guns. While it is not necessary to track item costs and on-hand quantities of the unique “1-time” items, management prefers to track inventory information for the regularly stocked items in order to track quantities on hand and item profitability. The ReStore needed a point of sale solution that would facilitate a fast and simple customer checkout experience; allow for credit card sales, track inventory cost and quantity; and integrate smoothly with its QuickBooks Pro financial software to eliminate double data entry. QuickBooks POS was an ideal solution. We first helped the client assess the hardware and software needs and place the orders. The software download was delivered quickly and the hardware arrived at the store ahead of schedule. Basic setup of the new computers and operating system was delegated to a capable volunteer. Two workstations were set up in the front of the store for customer checkout and a third workstation was set up in the back office to act as the server workstation and house the QuickBooks POS and QuickBooks Pro data files. The two check-out workstations consisted of the standard hardware: a computer, touch screen monitor, cash drawer, receipt printer, barcode scanner, credit card reader, keyboard and mouse. Next, QuickBooks POS software was installed on the server machine. Another local ReStore location had been using QuickBooks POS for several years, so to save time, the other location’s items, vendor, and customers were imported into the new store’s POS file and adjusted where appropriate. While installing the software on the other two workstations, a networking problem involving a firewall and the antivirus program on the machines created a communication problem between the back office server workstation and one of the checkout workstations, but it was resolved with some simple troubleshooting. With the Point of Sale software working and the workstations communicating with each other, it was time to install the other hardware. The cash drawer, receipt printer, barcode scanner and credit card readers were easily installed and tested to verify that all systems were operating correctly. The last step was to sync the POS data file with the QuickBooks Pro data file on the server workstation. Using the wizard inside of POS, there were no problems syncing the data files. The QuickBooks Point of Sale implementation and setup went smoothly. As a result of good planning, quick order fulfillment, and simple installation, the system was ready for the store’s grand opening. ReStore is happy because it is able to deliver a quick and easy checkout experience for its customers, track inventory quantities and costs, and sync their point of sale activity with QuickBooks. This unique opportunity gave Bryan a chance to do something a little bit different than the traditional QuickBooks consulting we spend most of our time doing. Our firm also gained a new client and established relationships we wouldn’t have if we didn’t offer point of sale services. This engagement was a “win” on all fronts! We are always looking forward to the next POS engagement. Jonyce Bullock has been a part of Intuit's ProAdvisor program since 1999. 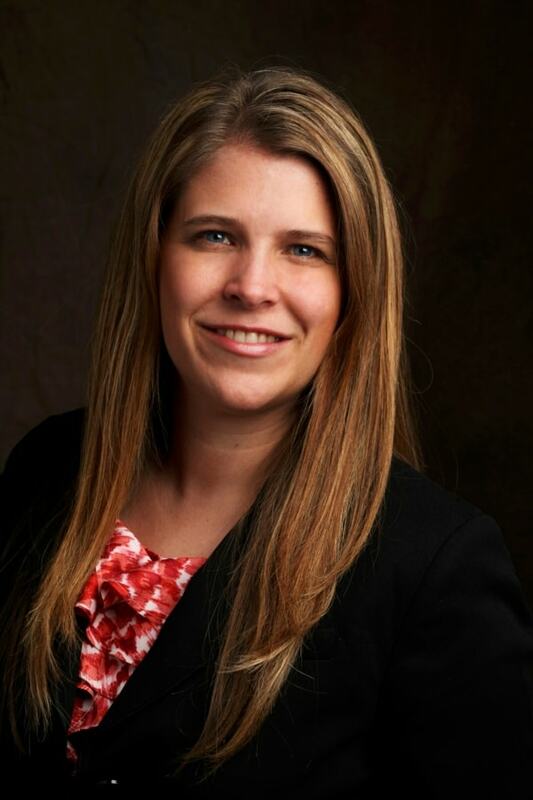 She started her career at Squire and Company, PC, a regional accounting and business consulting firm located in Orem, Utah. Shortly after starting, she was handed a QuickBooks box and was told that she was to teach a client how to use it. After self-teaching herself how to use the program, she quickly found that she loved teaching clients how to use their QuickBooks software. During her professional career, she has been recognized as an Intuit Top 100 ProAdvisor, Top 40 under 40 CPA's in America and AICPA/UACPA Women to Watch — Emerging Leader. She specializes in accounting technology design and support, business advisory, tax planning and compliance, and strategy design and implementation.